When it comes to starting a business, there’s a common misconception that in order to launch a business, you need to have a product idea of your own. However, the truth is that isn’t the case - while you could start a product-based business there are plenty of other options worth considering. You could opt to launch a service-based business, that’s one option. Another, if you want to launch a retail business but had no product idea, could be to opt to sell other people’s products. Look at Amazon, for instance, they sell other people’s products and look at how successful they are. So it is possible to run a retail-based business virtually without a product, it’s just a case of knowing what steps you need to take to do so successfully. Bearing all of that in mind, if you like the concept of starting this kind of business, you probably want to know what you need to do to succeed. Below is a guide to all of the most vital steps that you need to take, to give your virtual, product-based business the best start. As a rule of thumb, most online sellers find that it’s far easier to operate within a single niche, which is why it’s essential that you take the time to choose a niche for your business. The fact is that if you want your company to succeed, it’s important that you take the planning process seriously and take note of the steps that you need to take if you want your business to be a success. Rather than trying to appeal to everyone, what you need to do is build a brand that is designed to only appeal to a select few - AKA a specific demographic. It’s a good idea to consider what types of products you already know a lot about, or which areas you are already clued up on. Because when it comes to business success, playing it close to home can be incredibly important. Someone with a background in beauty, for instance, may want to consider launching a beauty-related business. Whatever area you know about, or have experience in, it’s worth considering focusing on. Once you’ve chosen a niche, the next step is to consider where you will get your supplies from. This is a vital part of running a business and something that you need to consider carefully if you are going to launch a successful company. When it comes to sourcing products to sell, a lot of companies consider using Amazon FBA Sourcing Services, as these can make the sourcing process much simpler, easier and less stressful. When it comes to choosing where to get your stock from, it’s important to consider what you expect to get as part of the service that you are paying for. Not all suppliers offer the same level of service, which is why it’s important that you take the time to compare these and choose the one that’s the best fit for your brand. The next step, after you’ve chosen how you will get your products supplied, is to consider how you will sell your items. Do you want to sell through another company’s site? (This is something that a lot of businesses choose to do to save money.) One of the main advantages of selling through existing sites is the fact that it means there is minimal setup and maintenance required, saving you time and money. Plus, these types of sites come with a ready-made customer base, which means that there’s no need to spend a large sum of money on marketing. However, the downside includes the fact you’ll need to cover listing fees, you may need to pay a monthly/annual membership fee, plus you’ll have reduced control and a limited ability to grow a customer base of your own. Or, another option could be to choose to create your own site to sell products from. By choosing to sell through your own site, you eliminate the pitfalls that come with selling through another company’s site. You don’t have to worry about listing fees, listing rules or being unable to create your own customer base. You have your own site in place that you are in control of, and that you can personalize to be exactly what you want it to be. Of course, one of the issues with this is that it means making an investment - e-commerce sites don’t come cheap, or at least, good ones don’t. Then there’s the fact that in order to have a site of your own created, you’ll need to hire a web designer, which will, of course, come at a cost. You need to decide if the additional costs that come with having your own platform to sell from are worthwhile or if you’re happy to use someone else’s site. 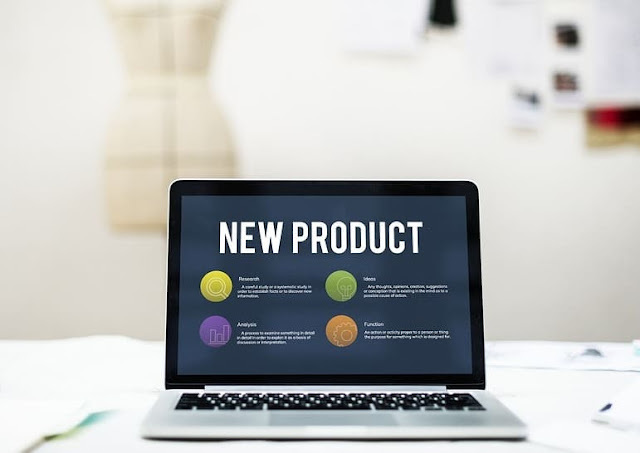 When choosing to launch a product-based business where you are using other people’s products instead of your own via Amazon FBA and dropshipping, there are a few considerations that you should take into account. Firstly, it’s important to consider the quality of the stock, because when it comes to building a prosperous and profitable business, you want to offer your customers high-quality stock. If you fail to do this, your business will make a name for itself as a company that offers low-quality products. So before choosing a company to purchase your supplies from, take the time to vet their stock. This might be time-consuming, but before you choose to go with a certain supplier, it’s vital that you ensure the quality is there because, without high-quality products, your business will be far more likely to fail. Starting a business online doesn’t have to mean racking your brains for a product idea, you can opt to sell other people’s products instead and gain just as much success. The key to doing well is being selective about what you sell, where you get your stock from, and how you sell it. I hope you enjoyed this article about how to success in retail without actually producing your own product via FBA.